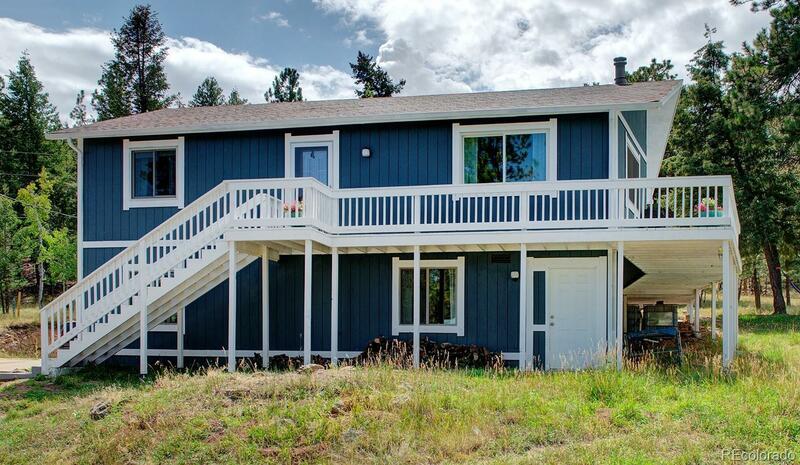 Situated on just over an acre, this move-in ready home has plenty of mountain charm tucked back in the pine trees. This home features an open concept floor plan that leads to a spacious deck, perfect for entertaining both indoors and out. The main level features rustic flooring, a wood burning stove, vaulted ceilings, and numerous windows that bring the outdoors in. The functional kitchen has plenty of counter space, new appliances, and opens to the dining and living rooms. With two spacious living areas and a bonus room there is extra space for an office, craft area, or teen space. the home has a new roof. Donât miss out on owning this beautiful home with lots Colorado mountain charm!